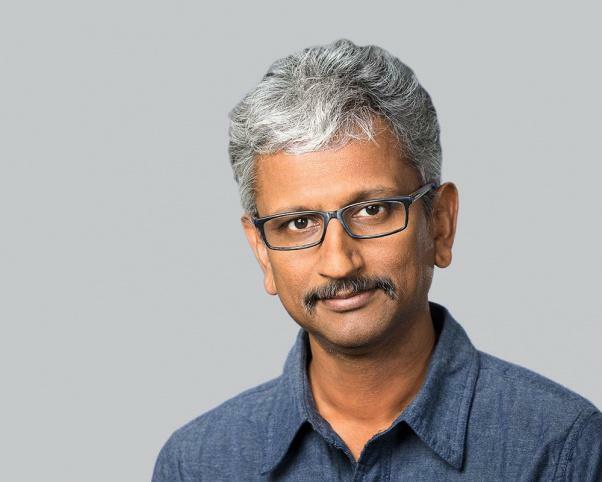 Raja Koduri, the former SVP and Chief Architect of Radeon Technologies Group, has left both RTG and AMD following the announcement of an extended sabbatical in September. One of the visionaries behind the creation of the Group out of the larger organisation that is AMD, Koduri is well respected not only for his technical expertise but also an enthusiasm for all things graphics. The news was revealed through the publication of a leaked memo stating his departure to the wider RTG team. The memo also confirmed AMD CEO Lisa Su's caretaker role at the head of RTG during the transition period, and that key personnel at AMD's CPU arm will be overseeing the GPU division to ensure minimal disruption to timetables and product schedules. It's not clear whether the protracted development of Vega, which was launched long after NVIDIA's Pascal architecture, played a role in Koduri's departure. Earlier today, we announced two unrelated updates for our Radeon Technologies Group: 1) Raja Koduri has decided to leave AMD and 2) we are taking the next steps in our work to strengthen RTG by further focusing the organization on key growth areas. These updates do not impact our plans or the strategic direction we are driving our graphics business. We appreciate the contributions Raja has made helping establish our dedicated graphics focus and strong team that is capable of accomplishing the ambitious goals we have set for this part of our business. Also want to make sure it is clear that there are no changes to our public product or technology graphics roadmaps, and we remain on track to deliver on our commitments in 2018 and beyond. Lisa will continue to lead RTG on an interim basis while we complete our search for a new leader. We have made significant progress across AMD these past two years delivering the first wave of our high-performance products, best exemplified by our improved financial performance and year-over-year market share gains across all of our client, graphics and server products. Today’s changes are designed to allow us to better take advantage of the significant growth opportunities in front of us. Koduri presided over the development of recent generations of Radeon products including both Polaris and Vega architectures. He is also likely to have had significant input into Navi, the next generation architecture debuting in 2019. PC technology press has also credited him with focussing on many quality of life issues such as frame pacing and driver update schedules, benefiting consumers just as much as new graphics architectures. In an interesting twist WCCFTech (via Tweaktown) are also reporting that Koduri is rumoured to be on his way to arch-rival/reluctant partner Intel. Just this week Intel and AMD announced a partnership that will see AMD Vega graphics operating alongside Intel CPUs in a new range of high-performance Multi-Chip Module solutions for laptops and low-power desktops, and Koduri will have been key in inking that deal.